Thomson Scientific Instruments Pty Ltd (TSI) have been serving the global science community since 1980. Over the past 38 years TSI has been responsible for introducing Australian scientists to some leading edge technologies from around the world. In Australia, TSI currently represents innovative manufacturers such as Bruker nano, NMI and MicroCT. Please see our Products home page for an outline of the wide range of scientific instrumentation available through TSI. The SkyScan 1275 is specially designed for fast scanning using new advances in the technology of X-ray sources and efficient flat-panel detectors. The SkyScan 1276 is a high performance, stand-alone, fast, desk-top in vivo micro-CT with continuously variable magnification for scanning small laboratory animals (mice, rats, ...) and biological samples. 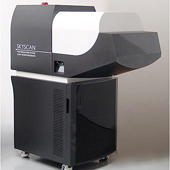 SkyScan 1272 is a desk-top high- resolution micro-CT. 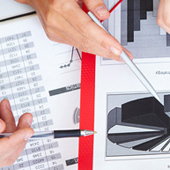 Exceptional performance beyond researcher's imaginations. The SKYSCAN 1273 sets a new standard for non-destructive testing (NDT) with benchtop instruments, providing a performance level previously only achieved by floor standing systems . The PET/CT Si78 is addressing the latest needs of preclinical imaging scientists by combining homogeneous sub-millimeter PET spatial resolution over a large field of vew (FoV) with minimal X-ray radiation dose. The whole-body micro-CT scan times can be shorter than seven seconds, which is important for animal welfare. SkyScan 1275: Fast, Automated Micro-CT. The new SkyScan1275 desk-top microtomograph is specially designed for fast scanning using new advances in the technology of X-ray source and efficient flat-panel detectors. ©2019 Thomson Scientific Instruments All Rights Reserved.